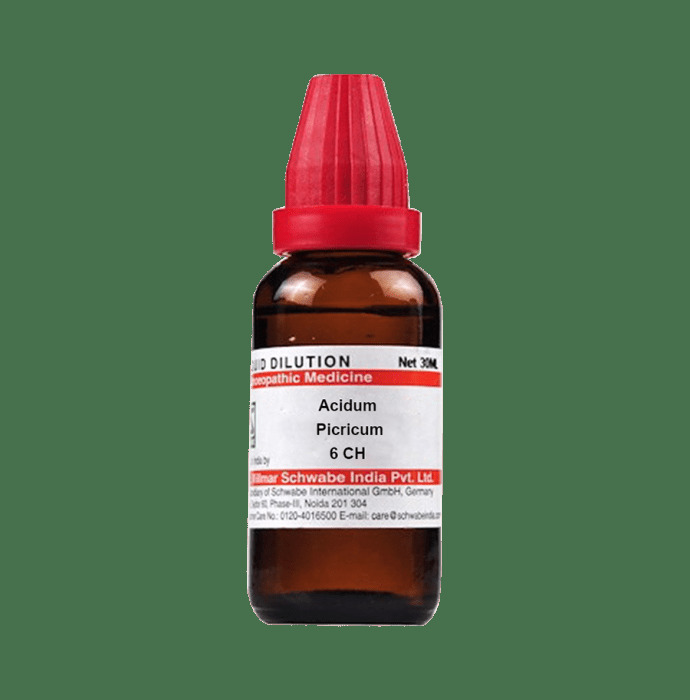 Dr Willmar Schwabe India Acidum Picricum Dilution also known as Picric acid is a useful remedy for someone who is going through mental exertion. Upon mental exertion, the mind, body and other organs tend to become slow and gradually leads to failure. Before that happens, it comprehends the symptoms such as blood in urine, reduced urge for urination, giddiness in the head and headache caused due to focusing a little extra. All these problems are collectively resolved through the use of this drug. Besides this, other symptoms include lack of interest, lack of concentrations and willpower, being forgetful and fear that one might not succeed. All these symptoms are together treated through the use of this product. Dosage should be directed by the physician. Should maintain substantial gap of half an hour before consuming this and avoid strong flavours before or after the consumption for about half an hour.